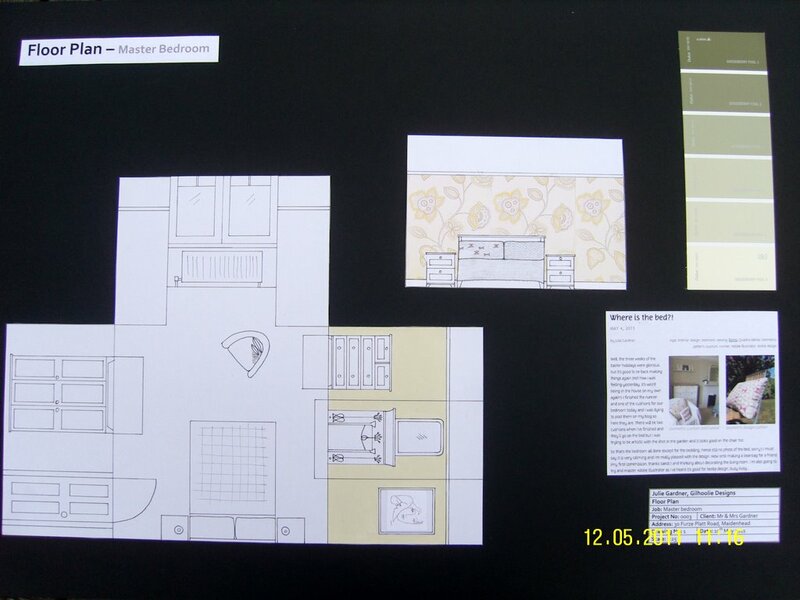 Well, this was all done a bit backwards seeing as I finished decorating a month ago, but I still wanted to publish the sample board and floorplan I put together for our bedroom. 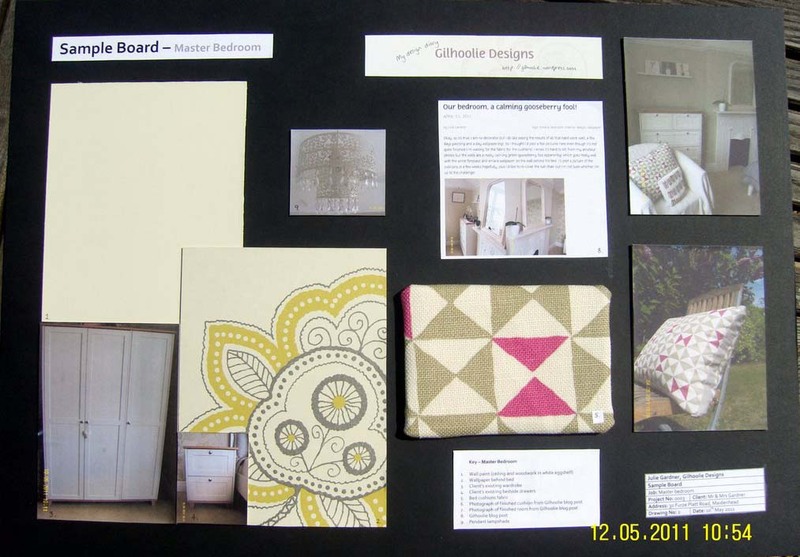 Gilhoolie Designs is working out to be a great place for me to keep track of my ‘work’ and build up my portfolio. Enough of interior design though, I’ve just received more fabric to make a beanbag so I need to get out the sewing machine. Watch this space for photos of a more girly beanbag with pink stitching!